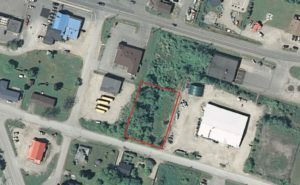 Commercial Building lot in Little Current. Prime location. Located a stone’s throw from the swing bridge and Highway 6.